National infrastructure experts joined forces today at the Mobility 21 Summit to highlight top transportation solutions from around the globe and seek strategies to develop and implement transformative solutions for Southern California’s traveling public. More than 1,200 transportation, business and elected leaders convened at the Disneyland Hotel for the 16th annual Mobility 21 Southern California Transportation Summit. The annual conference, which is the largest one-day transportation event in the state, focuses on bringing together leaders from a broad spectrum of backgrounds to address the challenges and opportunities facing Southern California’s transportation infrastructure. In accepting an award for Public Sector Leader of the Year, Los Angeles Mayor and Metro Board Chairman Eric Garcetti highlighted the successful passage of Los Angeles County’s Measure M tax initiative and how local measures bring much needed funding to ease traffic congestion, create jobs and improve quality of life in Southern California. During the Summit, conference attendees learned about concepts being proposed to overcome Southern California’s transportation challenges, including: impacts of state and federal funding trends, growing usage of express lanes, connecting transit to aviation, MicroTransit and connected and autonomous vehicles. Leaders also called on legislators to implement reforms and innovations to make much needed improvements to Southern California’s transportation infrastructure. Joseph Toolson is currently Vice President and South West Area Regional Manager for Mott MacDonald (MM) managing multiple Project Management assignments. As a part of this international company with resources of over 16,000 employees world-wide, his focus has been in Highways and Bridges, Rail and Transit, Ports and Harbors, Airports, and Transportation Project Delivery. He is a student of project implementation in completing a Bachelor’s of Science Degree in Civil engineering with an emphasis in structural engineering from San Jose State University in 1988. He has furthered his education through international training at MM. In his 29-year career, he has been focused in project management roles in engineering, environmental, creative finance, design, construction management, and alternative project delivery methods. 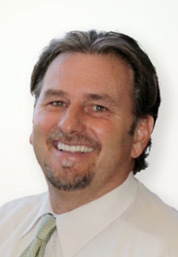 Mr. Toolson has a firm understanding of the issues that surround projects specifically in transportation infrastructure which he has learned from his participation with multiple self-help county programs starting with the original Measure A in Santa Clara County legislated to improve regional transportation. Along with this program in Santa Clara, he has supported the project delivery teams associated with many other transportation improvement sales tax programs throughout the State of California such as those in Alameda, San Bernardino, San Diego, and Orange Counties. Other assignments which Mr. Toolson has served include Highways Construction Manager for the Valley Transportation Authority in Santa Clara County, and in a Project Management Capacity for SR-22 Design-Build, and OC Bridges Program in the County of Orange. Currently, Mr. Toolson serves in a project management support capacity, leading a team of project managers for I-405 Design-Build Project with OCTA. 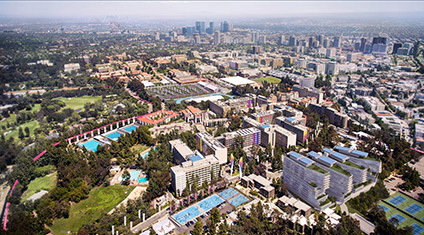 For the 2028 Olympics, AECOM is designing overlay for UCLA and other existing venues to accommodate Olympic and Paralympic sports, and developing the transportation plan. AECOM, a premier, fully integrated infrastructure firm, has been connecting communities for decades. Our teams of engineers, architects, planners and program managers are delivering cutting-edge solutions for all of the region’s transportation providers, including Metro, OCTA, SANDAG, SBCTA, RCTC, Metrolink and the Expo and Foothill construction authorities. This experience has given AECOM a unique perspective on how cities should wrestle with challenges spawned by population growth and aging infrastructure. Transportation solutions in particular require innovative, sustainable, multi-modal and long-term strategies. AECOM has played an integral role in developing a compelling vision for the Games, leveraging the breadth of its multi-disciplinary team of experts to ensure the success of a complex and comprehensive plan. This has included designing overlay for all existing venues to accommodate their Olympic and Paralympic sports, engineering and design services for temporary venues, a comprehensive cost model, advancing a wide-reaching sustainability strategy and developing the extensive transportation plan and a construction and delivery strategy. Since 2013, AECOM has partnered with the bid committee to address the specific requirements of numerous stakeholders including the International Olympic Committee, national Olympic committees, international and national sport federations, local venue partners, broadcasters and community groups, among many others. The result is a plan, known as the Games Concept, that aligns the existing resources and future plans for the region with the needs of the Games. As with all major cities, transportation during the Games – and the transport of key Games constituents, spectators and residents – poses a major challenge. An effective demand management strategy ensured that there was very little traffic during the 1984 Games, and the dramatic evolution of LA’s transportation network offers exciting new opportunities to transform the mobility choices for all during the Games and beyond. The LA28 Games Concept was developed to fully utilize the region’s massive ongoing investment in transportation, and no additional transportation infrastructure will be required beyond what is already planned for the region. The transportation plans developed by AECOM propose holistic, innovative solutions to manage traffic, enhance the use of public transportation and develop integrated trip planning to enable convenient, safe and reliable movement of everyone during the Games. AECOM’s in-house Transportation team has leveraged their knowledge and experience with the extensive transportation plans and larger program development slated for Southern California; their technical expertise in travel demand modelling, traffic management and multi-modal transportation planning; their insight into the issues and limitations involved with hosting the Games; and their relationships with key transportation stakeholders in the region, including LADOT, Caltrans, Metro and Metrolink, to develop a comprehensive transportation plan that will effectively serve the key Games constituents, spectators and residents for the long-term benefit of the city and the region. Working with elements of smart city to improve sustainability and livability. Applied Informatics combines expertise in computer science, data science, engineering, meteorology, and various physical sciences to generate contextually relevant, science-backed insights that improve the health and safety of the communities in which we live. Iteris combines these disciplines to help engineers, scientists and practitioners apply informatics to make better decisions and achieve improved outcomes in transportation. Our products and services analyze the growing volume of data, to help make transportation safer and more efficient. 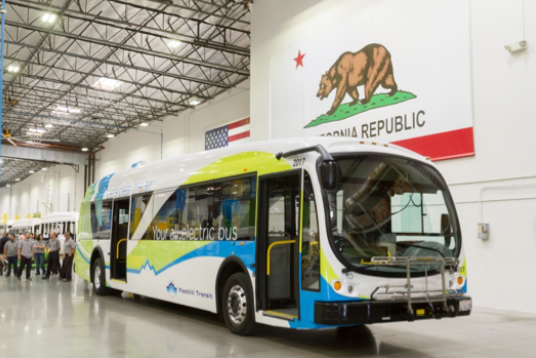 As part of efforts to electrify transportation, SCE will help bring charging infrastructure to connect electric buses with a clean electric grid. At Southern California Edison, we believe that electrifying transportation is the best way to fight climate change and help reduce air pollution. In fact, we have a plan for expanding zero-emission electric transportation in our service territory. By electrifying transportation, we will reduce harmful emissions from fossil fuels including gasoline, diesel fuel and natural gas. “The benefits of electric transportation are growing—and utilities and other market participants have a clear role to play,” said SCE President Ron Nichols. The proposal, recently filed with the state Public Utilities Commission, is critical to California achieving its climate change and environmental goals, Nichols added. The plan is tailored to Southern California, where 40 percent of the goods entering the nation are moved through the region’s ports and over its highways. In addition to innovative programs for passenger vehicle adoption, the proposal aims to electrify buses, medium- and heavy-duty trucks and industrial vehicles and equipment. State approval of the plan would mean more than $570 million in programs and infrastructure to help grow the transportation electrification market over a five-year period and stimulate greenhouse gas reductions to support moving California closer to its 2030 climate change goal of 40 percent below 1990 levels. Find out more at www.edison.com/te. A new affordable housing loan program for Los Angeles County begins this month. It was created with $9 million in seed money approved by the Metro Board of Directors last year and will be called the Metro Affordable Transit Connected Housing (MATCH) program. The idea is simple: provide loans to ensure that affordable housing is saved and built near high-quality transit — defined as housing within a half-mile of either a rail line or two bus lines with peak hour service every 15 minutes or less. The program is expected to result in a net increase of 1,800 affordable units. The loans will be available to qualified nonprofit developers of affordable housing to buy land or existing housing that could be replaced by even more affordable units. The program will be run by the Low Income Investment Fund, a statewide nonprofit. In addition to Metro’s contribution, other nonprofits also provided in another $9 million — including the California Community Foundation, The California Endowment and the Weingart Foundation. 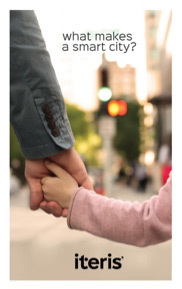 The MATCH fund will leverage loans from partnering Community Development Financial Institutions (CDFIs). CDFI partners currently include LIIF, Enterprise Community Loan Fund and Local Initiatives Support Corporation. This program is part of Metro’s “Transportation Oriented Communities” program to encourage community development that includes a mixture of housing, office, retail and/or other commercial development and amenities integrated into a walkable neighborhood and located within a half-mile of quality public transportation. Along with the MATCH fund, the Metro Board approved creation of a $1 million Transit Oriented Communities Small Business Loan Fund. Metro has executed an agreement with the Community Development Commission of the County of Los Angeles (CDC) to develop and manage that fund, which will be rolling out in early 2018. OCTA officials join with Santa Ana College to celebrate the launch of a college pass program for students. Officials from the Orange County Transportation Authority and Santa Ana College gathered today with students and community members at the college to mark the launch of a new pilot program that allows nearly 42,000 students to ride any OC Bus for free. The free bus rides are part of a three-year pilot program, the first of its kind in Orange County, initiated by OCTA in cooperation with Santa Ana College administrators and approved by a vote of students at the college. The program is intended to encourage the use of public transportation through the OC Bus system and to take cars off of the road. OCTA is using a grant from the state’s Low Carbon Transit Operations Program to offset the cost of the bus passes, part of the state’s cap-and-trade program implemented to help reduce greenhouse gases that pollute the environment. Santa Ana College has a student population of nearly 27,000 students and is located near Bristol and 17th streets, in the area of some of the busiest bus routes in Orange County. Santa Ana has the fifth densest population of any city larger than 300,000 residents in the United States. The program has also been extended to an additional 15,000 students who are enrolled through the college’s School of Continuing Education. Under the terms of the pilot program, all Santa Ana College students get a pass – as part of their student identification cards – for free unlimited bus rides for the fall 2017 and spring 2018 semesters. After that, all enrolling students at the college will pay a minimal fee per semester for the second and third years of the pilot program. Full-time students will pay $6.75 per semester and part-time students will pay $5.75 for an unlimited bus pass. The typical cost to ride the OC Bus system is $2 per ride or $5 for a day pass. The typical cost of a full-semester student bus pass is $185. The agreement with Santa Ana College was approved by more than 85 percent of students who voted on the proposal. It is part of OCTA’s OC Bus 360° program to enhance bus service in Orange County. To help relieve congestion, OCTA is updating its Long Range Transportation Plan (LRTP) for the county. Called Designing Tomorrow 2040, the general goals of the 2018 LRTP are to assess the performance of the transportation system over a 20+ year horizon, and to identify the projects that best address the needs of the system based on expected population, housing and employment growth, and financial and revenue assumption forecasts. As we look into the future, increasing population and employment opportunities will have a major impact on day-to-day commutes. With projected increases of 10 percent in population, 11 percent in housing, and 17 percent in employment, the time spent in traffic is expected to increase by 66 percent by the year 2040 if no additional improvements are made to Orange County’s transportation system. Because vacant land adjacent to freeways is scarce, there are few opportunities for significant freeway expansion beyond what is already planned through Measure M, Orange County’s half-cent sales tax for transportation improvements. Future transportation projects will focus on improving the efficiency of the existing system to accommodate the growing travel demand. Proposed solutions include enhancing mass transit, ridesharing and utilizing managed lanes. 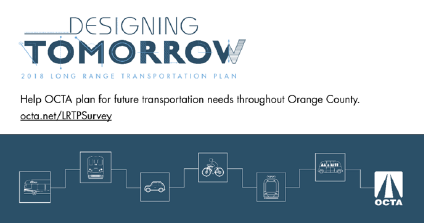 Your thoughts are important and can influence the future of Orange County transportation. By taking this survey, you will help OCTA prioritize improvements that will affect your daily journey throughout the county. OCTA updates the LRTP approximately every four years. The multi-modal projects and programs included are the basis for the Southern California Association of Governments’ Regional Transportation Plan (RTP). The LRTP provides a visionary blueprint for transportation improvements for Orange County and input into the development of the RTP. Kristin Slocum or call 949.288.6884 to have your event listed in our next ForwardMotion.